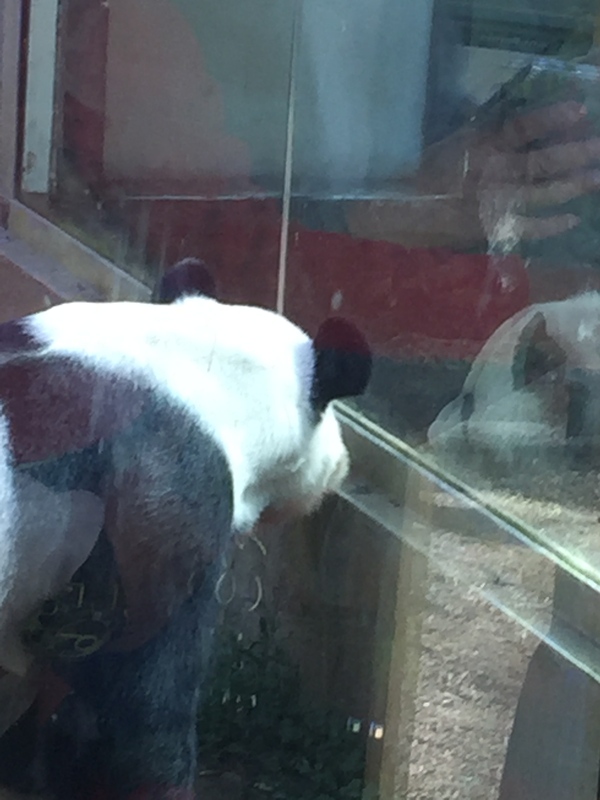 After visiting the amazing St. Louis Zoo with our family a couple of weeks ago, I realized that I had not been to Zoo Atlanta in decades. After dropping my husband at the airport yesterday afternoon, I decided to take a solo trip to check it out! An adventure of sorts. [pullquote]I love acting, but it’s much more fun taking the kids to the zoo.” Nicole Kidman[/pullquote] Having grown up in Decatur, Georgia, just a short drive from the Atlanta Zoo, I went there often as a child, sharing a picnic on the wide, grassy hills that surround the zoo. Did you know? 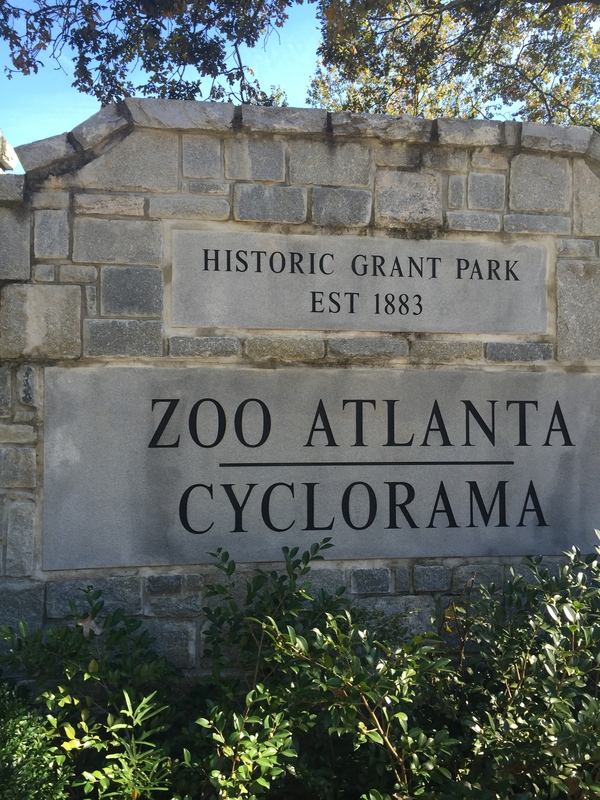 The Cyclorama is no longer there on the shared property of the Atlanta Zoo. There are plans to relocate The Cyclorama to The Atlanta History Center in 2017. Did you know? 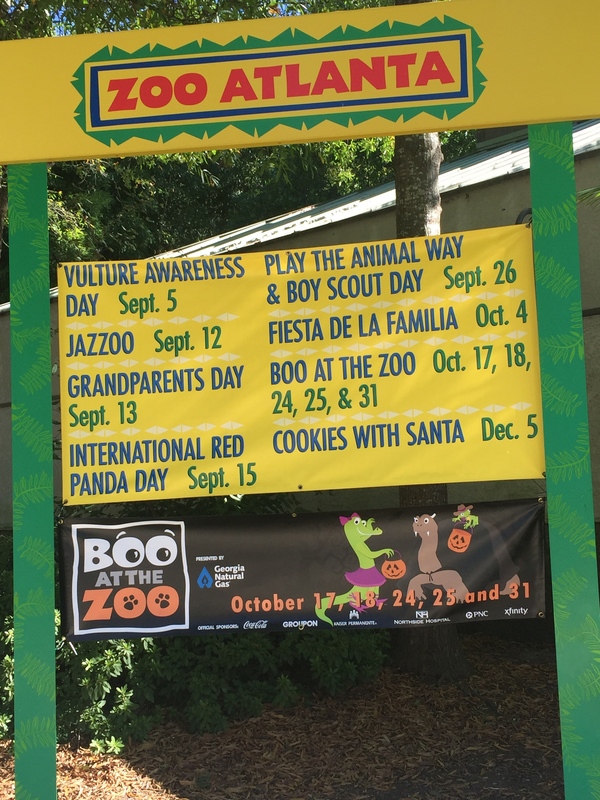 If you would rather not take your little goblins trick-or-treating, the Atlanta Zoo is having Boo At The Zoo for the next two weekends on October 24, 25 and the 31st, too. The decorations there are festive and they are giving out that prized candy, too! 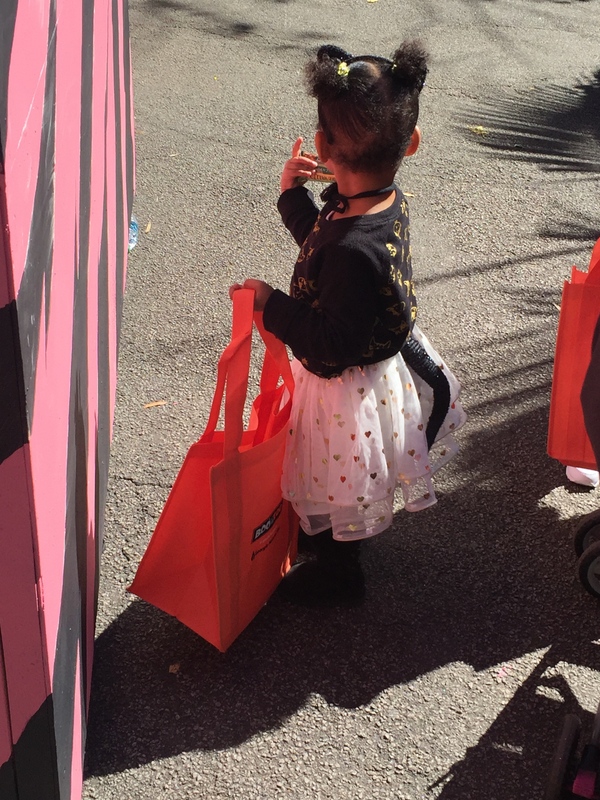 This little girl is at Boo At The Zoo. (1) Be Content. For the most part, the animals we saw at the zoo were content in their natural habitats. (2) Trust. Trust that all will be well and others will look out for you as you journey through life. 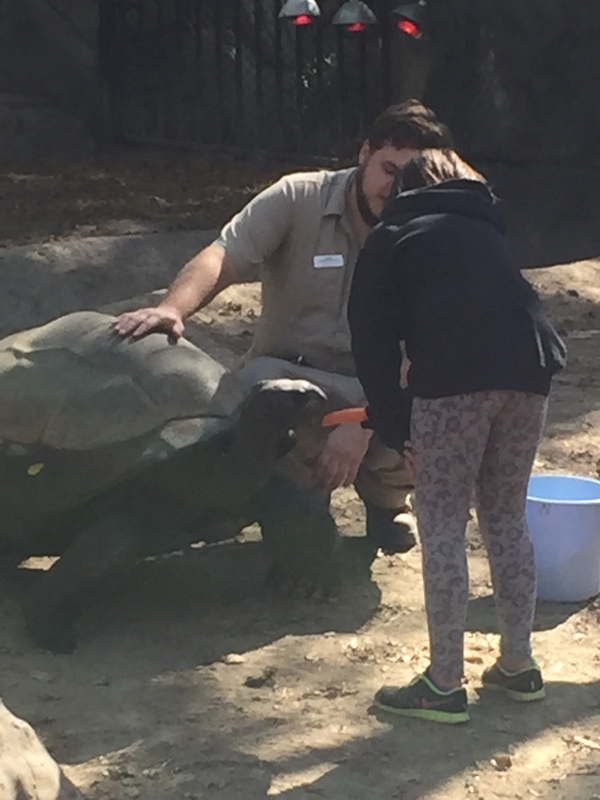 The zoo animals trust that they will be fed and treated well while living in the zoo. 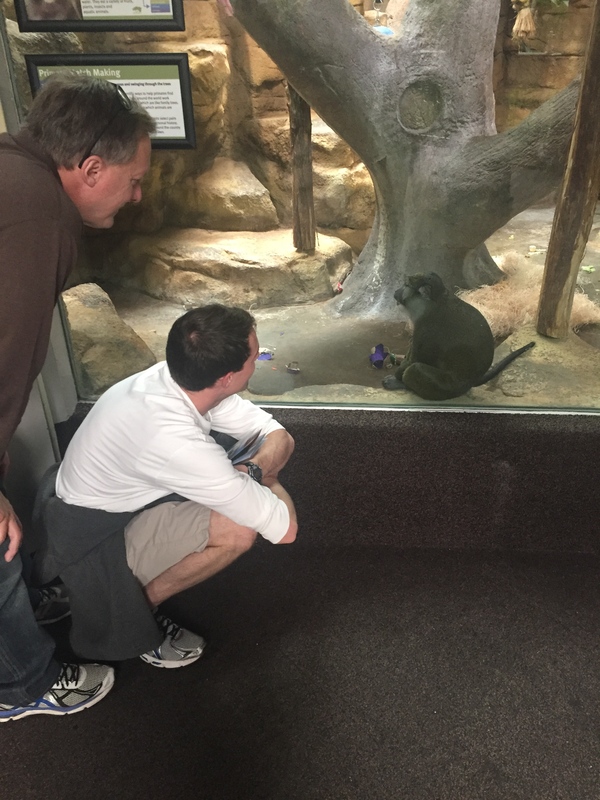 Donny and Walker hang out with a monkey at the St. Louis Zoo. 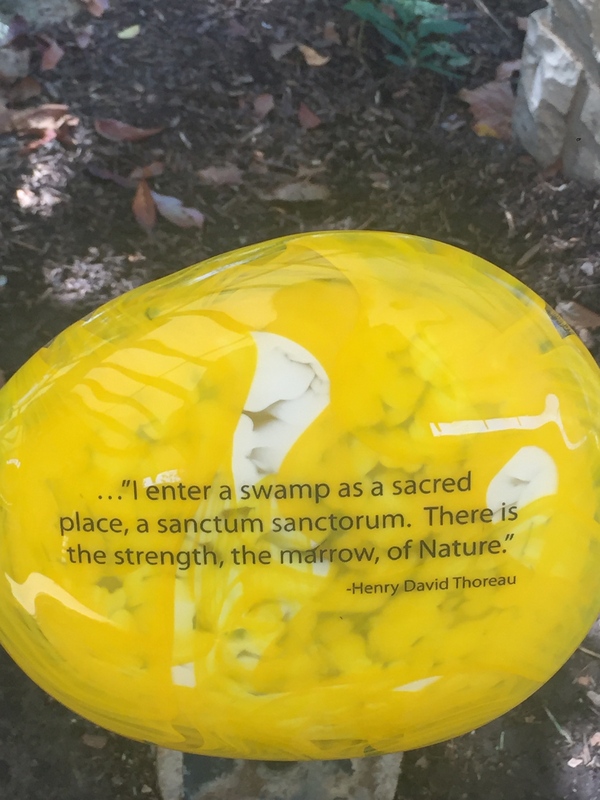 (3) Enjoy the miracles of nature. 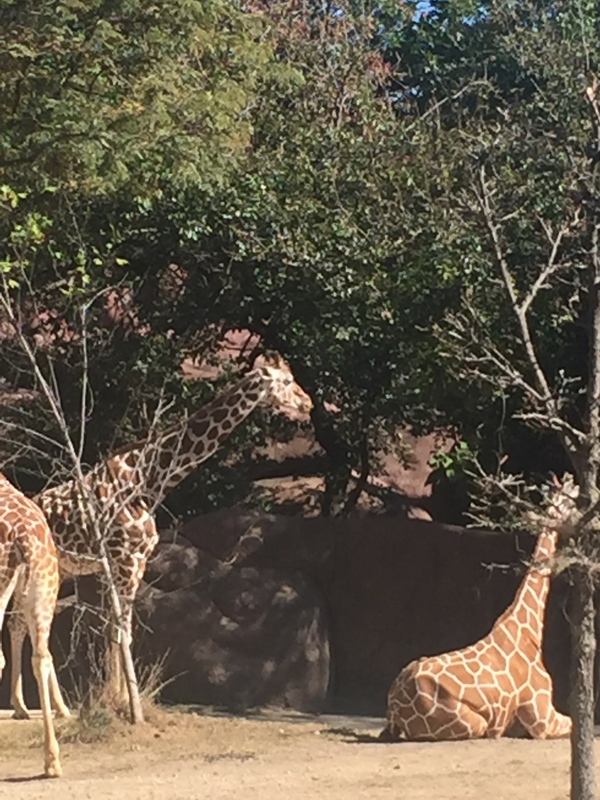 Again, living in their natural habitat, the zoo animals take in the beauty and comfort of nature. 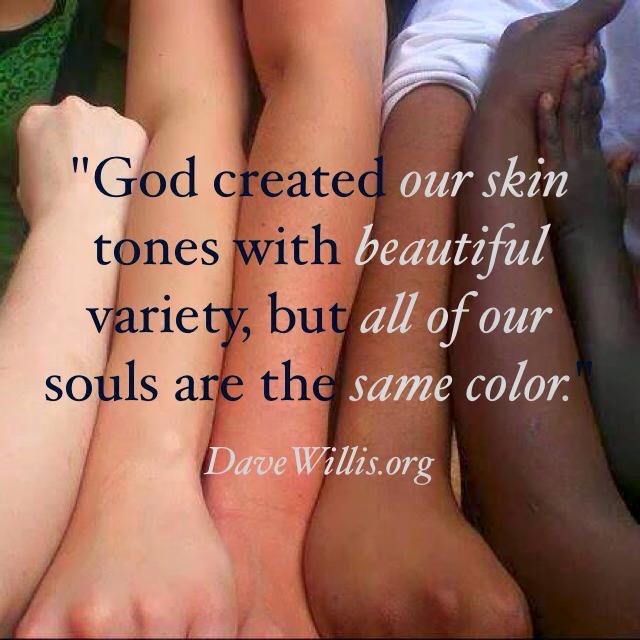 (4) Be playful, loving and get along with others. 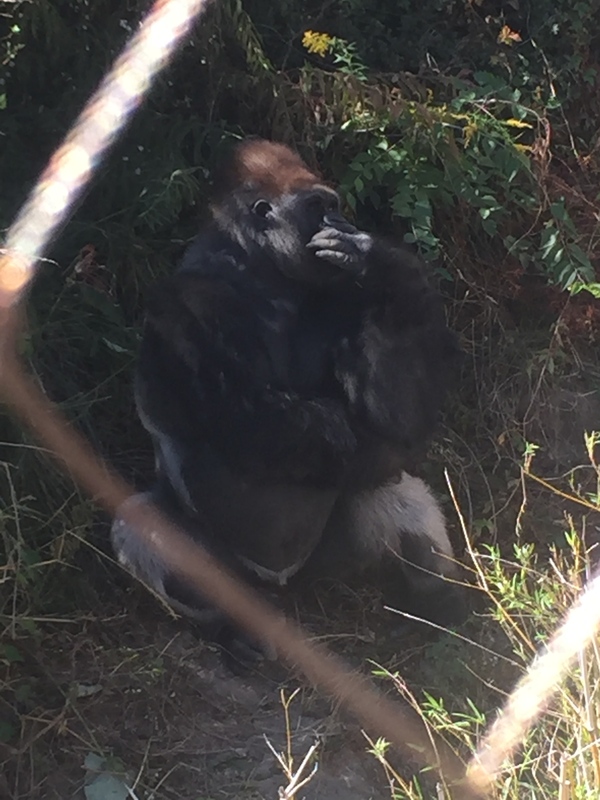 Yesterday, when I was alone at Zoo Atlanta, I took the time to sit and observe the monkeys for a good 30 minutes. They were loving with one another and it was truly inspiring to watch. I hope you get a chance to visit a zoo in the near future. the animals who reside there?